“For a very long time I have been struggling with how to talk to my son, who is now 8 years old. Despite being a great kid, he has a very negative self-image and is an unforgiving perfectionist. In the past my reaction to some of his behavior has been very negative and deconstructive and usually leads to outbursts and very negative self-talk. During the class I had an ‘Aha’ that my negative reaction to his behavior was helping create a bigger problem. “Upon coming home from your training, I immediately told my wife what I had learned. 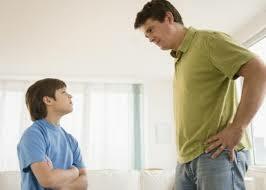 The next morning I committed myself to use the, ‘Stop, you are better than that / Next time…’ approach with my son. As instances would arise, I could see that my change helped keep the situation calm and we had no outbursts the entire weekend. I felt the change was doing something, but I wasn’t sure if the kids even noticed.